Keeping in mind the fact that the object of the Act is to ensure that no stigma is attached to a juvenile in conflict with law, in our view, once the juvenile has been extended a protective umbrella under the said enactment. 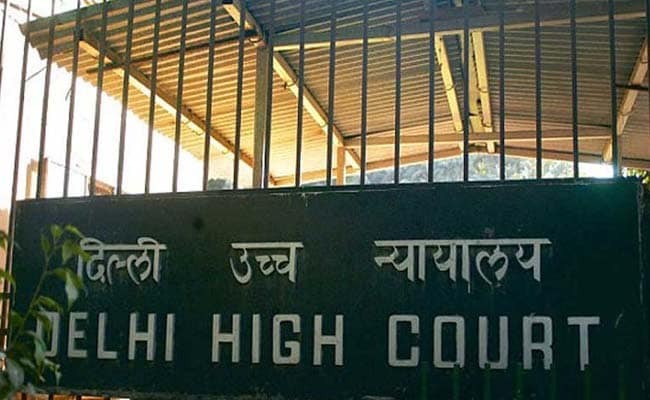 New Delhi: Identity of a person, against whom a criminal case was lodged when he was a minor, should not be disclosed at any stage of life as it defeats the purpose of juvenile justice law, the Delhi High Court has held. The court said that object of the Juvenile Justice (Care and Protection of Children) Act is to ensure that no stigma is attached to a juvenile in conflict with law and a minor is extended a protective umbrella under the enactment. A bench of justices Hima Kohli and Rekha Palli made the observations in a case where a constable was removed from service in the Reserved Police Force (RPF) by the Railway Board on the ground that he had not disclosed pendency of a criminal case lodged against him for an incident that took place when he was 12 years old. The court set aside the May 11 order of the Railway Board saying it was "unsustainable" and directed the authorities to reinstate him within 12 weeks along with all the consequential benefits, excluding back wages. It said the contention of the Centre and the Ministry of Railways that the man was under an obligation to disclose this information was "contrary to the very spirit of the Act". "Keeping in mind the fact that the object of the Act is to ensure that no stigma is attached to a juvenile in conflict with law, in our view, once the juvenile has been extended a protective umbrella under the said enactment, there was no good reason for the Centre and ministry to have insisted that the man ought to have disclosed the information relating to the allegations against him pertaining to an offence that was committed during his childhood where he was tried by the Juvenile Justice Board, and subsequently acquitted," it said. The bench said even when police verification regarding the man was conducted on the directions of the authorities, the officials concerned ought to have refrained from revealing the information pertaining to him in the criminal case as he was a juvenile at that time. "This was in fact a gross breach of confidentiality contemplated under the Act," it said. The man's counsel submitted that the proceedings against him were conducted at a Juvenile Justice Board in Bihar's Gopalganj and he was acquitted in August 2015 and as he was a juvenile at the time of the alleged offences of rioting and attempt to murder, he was not required to disclose this information pertaining to his childhood. The counsel representing the government, however, opposed it saying it was the man's duty to furnish relevant details of the criminal case pending against him at the time of filling up the verification form but he failed to do so. He said pendency of such a case came to the notice of the authorities only at the time of police verification regarding his antecedents. The man had applied for the post in 2011 and he was called submitting an attestation form in May 2014.